What a grand way to see the sights with your children as well as fit in that often elusive exercise! 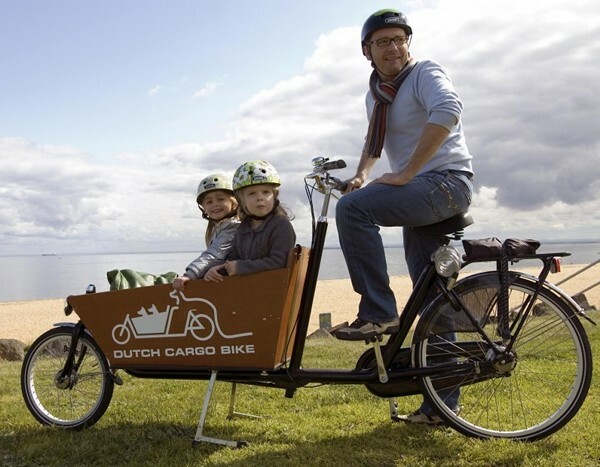 The Dutch Cargo Bike is another of those carrier-style bicycles we’re seeing taking off here in Australia. They’ve always been super-popular in Holland and now Australian parents are reaping the lifestyle rewards of zipping the family around on one of these marvellous machines. 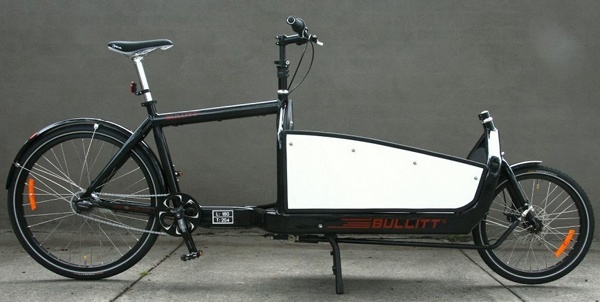 My personal fave is the retro-styled Bullit (below) but you can also go for the charmingly traditional Bakfiets Cargo Bike (top) which can transport a baby to tween-aged child. 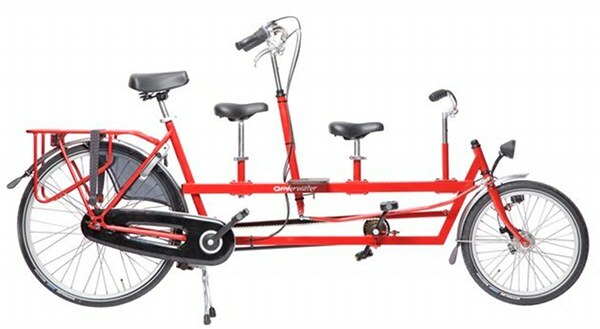 Or choose a fab red Tandem Transporter for some Goodies-style fun! We’ve written about several styles of bike-slash-prams including the Taga, Zigo and Trio and we’re loving that there is now more choice than ever in this market. There are many different configurations of the models, so check the Dutch Cargo Pram website for pricing and specs. They don’t come cheap but each is so adaptable we think you can consider this a lifetime purchase!